The leather Georgian Sofa is a classic. With traditional button detailing and Georgian wing design, it is sure to bring a touch of relaxation and elegance to your home. Choose from a wide range of sizes, leather finishes and colours. 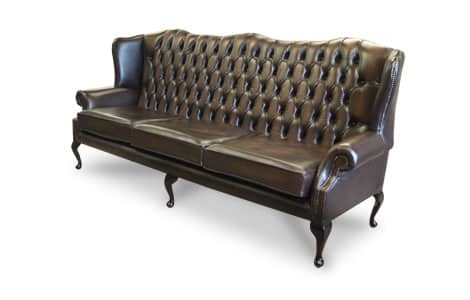 Your bespoke sofa will be handmade by our expert craftsmen in Lancashire, England.